Golden sand, crystal clear waters, exciting nightlife and international tourism hotspots go hand-in-hand with Australia’s youngest city, the Gold Coast. 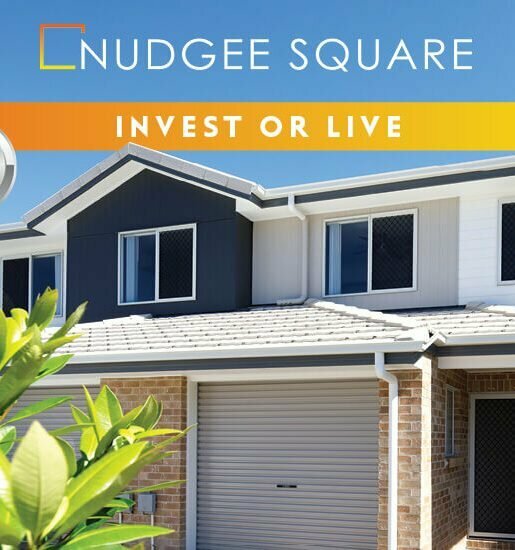 But there’s more to this burgeoning hub than the bright lights of Cavill Avenue and the glistening shores of Surfers Paradise Beach. 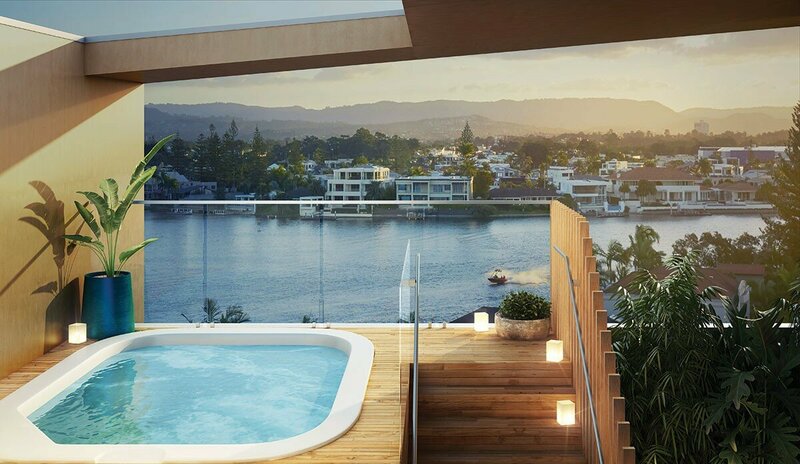 Australia’s newest city, The Gold Coast, at just 59 years young has evolved like no other and represents modern Australia with innovation, free spirit and lifestyle. The Gold Coast is the Southern Hemisphere’s number one lifestyle and entertainment precinct, hosting a broad array of amenities and events set in one of the world’s most picturesque landscapes. 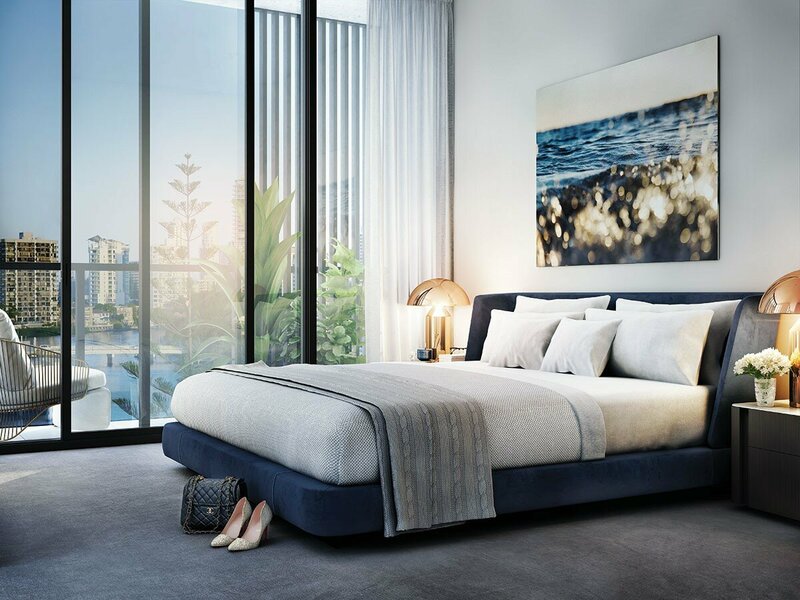 Profile shines the spotlight on Australia’s fastest growing city, including the newly announced Peninsular Residences in Surfers Paradise. 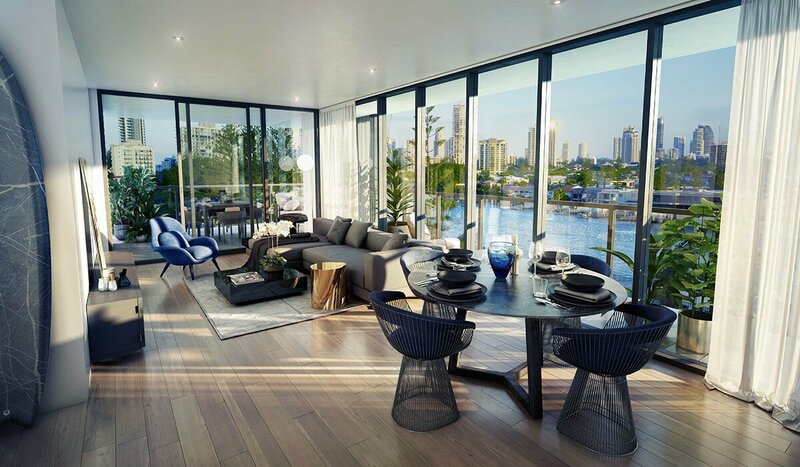 Peninsular Residences is superbly positioned overlooking the main river, boasting an ever-changing backdrop from the Gold Coast skyline, the glistening waterways and the vivid sunsets over the Hinterland. 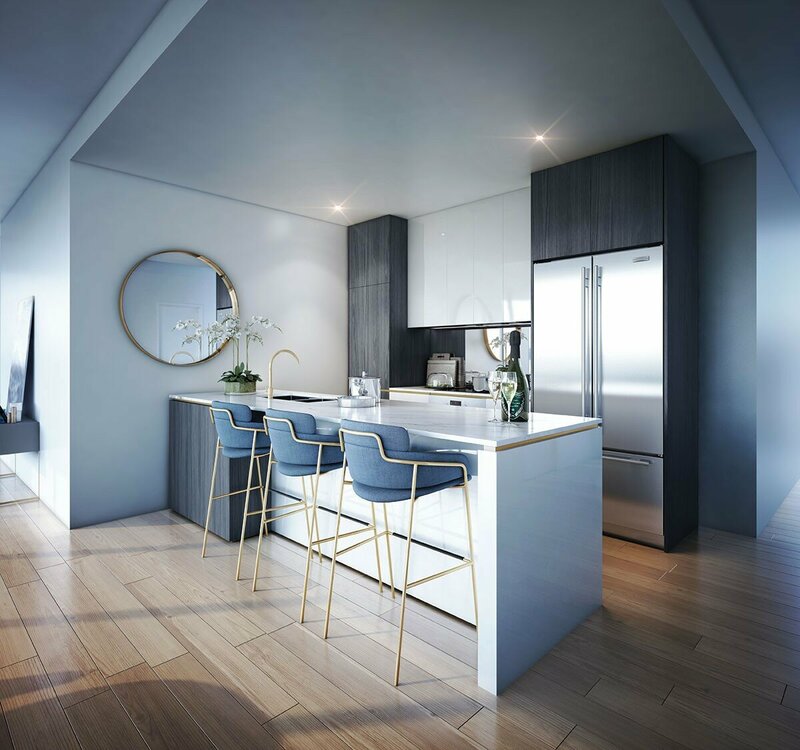 Centrally located in the CBD of one of Australia’s largest cities and the Southern Hemisphere’s number one tourism and entertainment destination, the spectacular apartments offer expansive water and city views fn the serene Surfers Paradise peninsular. 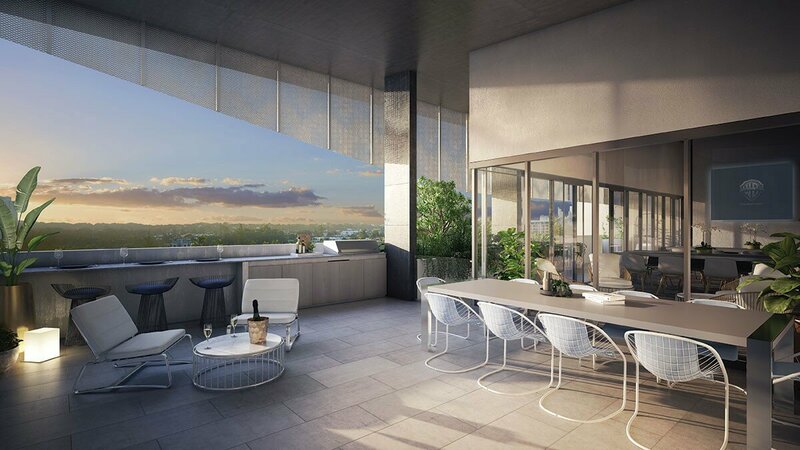 The median apartment sale price in Surfers Paradise is $756,00, however, the architecturally designed Peninsular residences come in at a fraction of that figure, with an average sale price of $538,000 for a two bedroom, two bathroom apartment, making it a no-brainer for investors. Outstanding value and exceptional location is just the beginning of the long list of features that make the Peninsular Residences stand out. 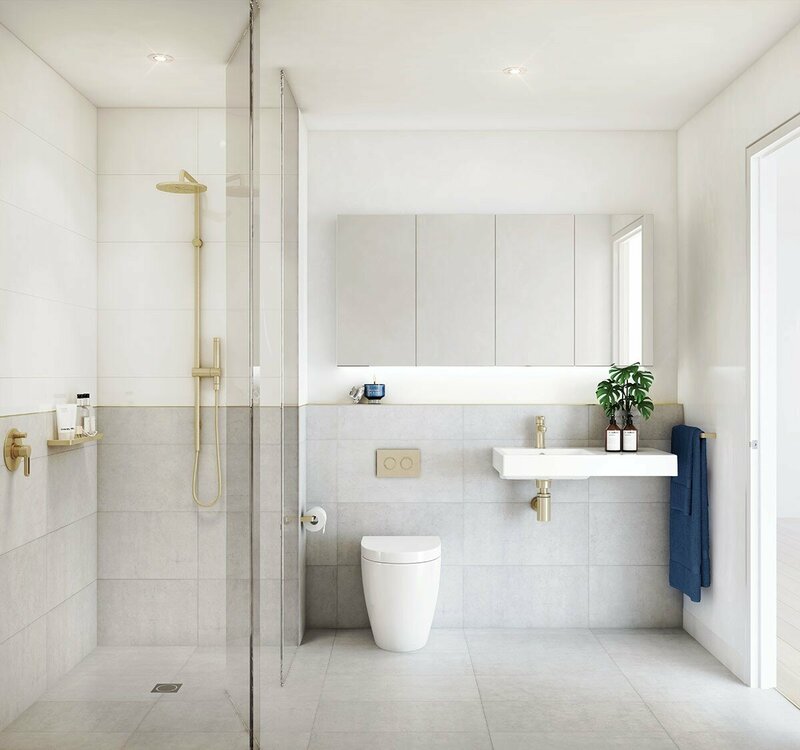 It’s an oasis in the heart of paradise featuring bathrooms that are inspired by luxury health spas and an entertainer’s kitchen flawlessly appointed with European appliances, stone benchtops and contemporary gold-coloured accents. Plus, vacancy rates on the Gold Coast were as low as 0.9 per cent during the 12 months to Q3 2017, making it the tightest rental market of all major cities in Australia. What’s not to love? Less than 80kms from Queensland’s capital city, Brisbane and boasting the title of the largest city in the country after the mainland capitals, the Gold Coast couldn’t be in a more ideal location. 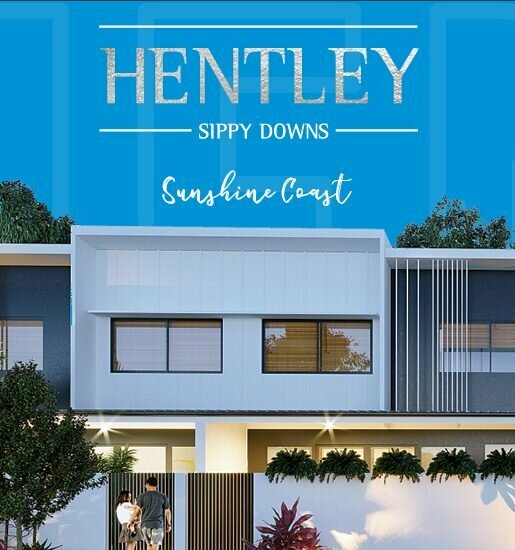 Not to mention the close proximity to some of Australia’s most modern transport including the Gold Coast International Airport (just 30 minutes from Peninsular Residences) and the Gold Coast Light Rail Station. There are three major university campuses on the Gold Coast including Bond University, Griffith University and Southern Cross University. With 50,000 students enrolled across the three campuses and $229 million being invested into the Gold Coast education sector, the Gold Coast promises to be a growing region in education for decades to come. 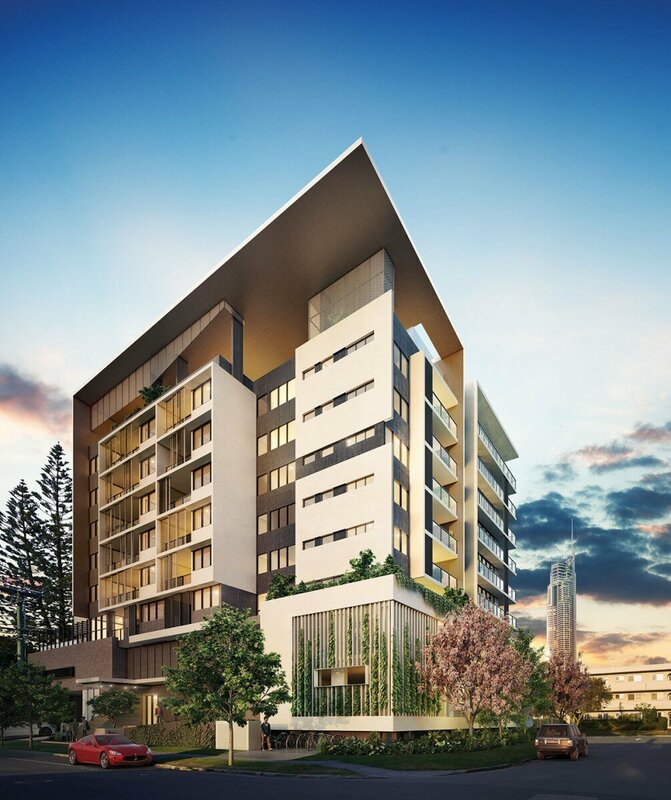 The Gold Coast CBD office precinct, the Bundall office precinct, Pindara Private Hospital, Convention Centre, Southport office precinct and the Gold Coast University Hospital and Private Hospital are world class facilities that cater to thousands of people each day. 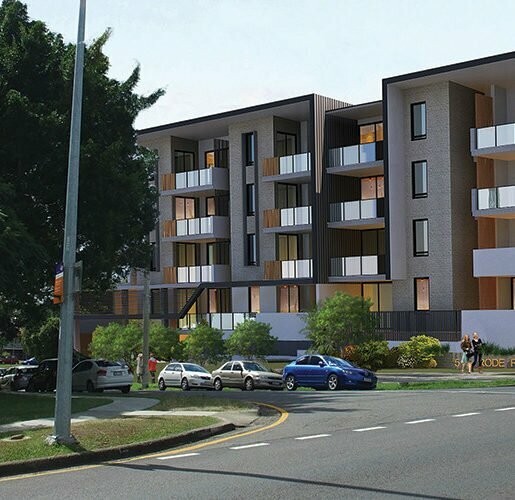 All within minutes from the Peninsular Residences, they’re just a stone’s throw from the CBD. Pacific Fair is one of those shopping centres that people drive hours to visit and has put the Gold Coast on the map as a premier fashion destination. There are also plenty of other venues offering amazing entertainment including the riverfront restaurants and cocktail lounges, the Cavill Mall and supermarkets, Orchid Avenue high end fashion, Surfers Paradise bars and cafes, Marina Mirage dining and high end fashion, and The Star Gold Coast casino. Gold Coast Race Course, Royal Pines Golf Course, Carrara Stadium (GC2018) and Palm Meadows Golf Course on offer it’s no wonder tourists from all over the world flock to this sought after city of fun and frivolity. The Gold Coast holds the three keys to long term sustainable property growth; strong demographics, large and growing economy and ideal geography. Highly revered demographer, Bernard Salt has recently reported the city will move into a “truly metropolitan scale” with population exceeding one million in the not too distant future. There is no doubt the 2018 Commonwealth Games has placed the region on the international stage and contributed to an accelerated growth in infrastructure and business with an economic injection forecast $2 billion dollars. 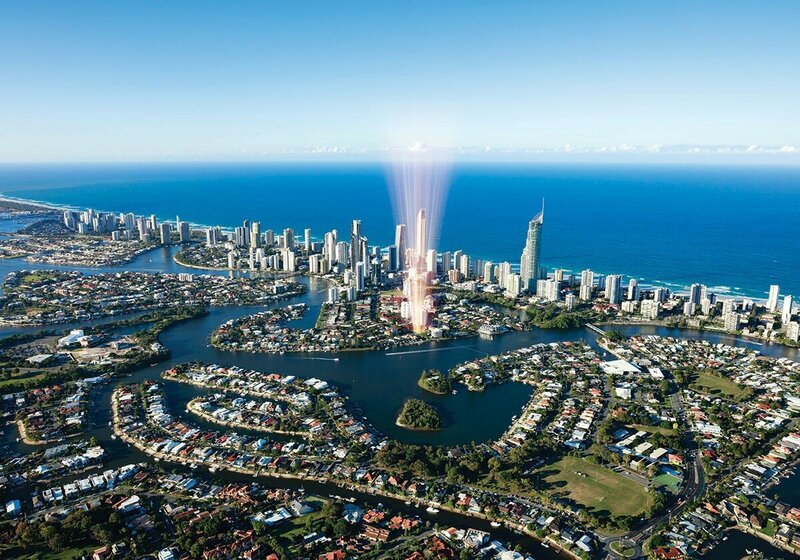 However, the Gold Coast was already moving in the right direction and will continue to evolve and grow many years beyond the bright lights of this international sporting and tourism event, underpinned by a range of other major infrastructure and amenities planned and under construction, totalling over $10 billion. The key to the future has been a diversification into education, medical research, health and wellbeing, business startups and professional services. Key infrastructure projects will drive the economy beyond the 2018 Commonwealth Games’ $2 billion economic benefit, including the third stage of light rail ($600 million), airport extension ($200 million), Gold Coast University Hospital, GC Cultural Project stage one ($37 million), casino redevelopment ($350 million), proposed cruise ship terminal, plus many more retail and residential projects. All this combined exceeds a monumental $13 billion. Surfers Paradise sits at the heart of the Gold Coast and is considered by many the CBD, currently holding one of the tightest rental markets across Australia’s cities. 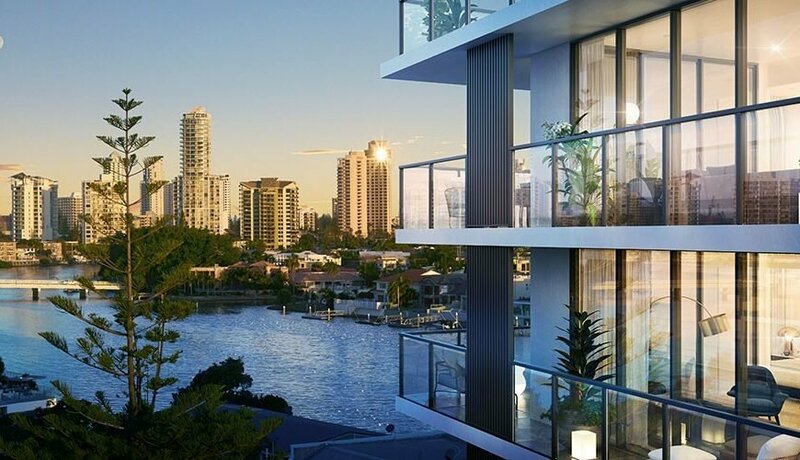 Average markets hover between three per cent and five per cent vacancy, but the relative rate is an astounding 0.9 per cent on the Gold Coast. with Gold Coast at 7.9 per cent, Sydney at 4.1 per cent and Brisbane at 3.5 per cent. Fifty four per cent growth is expected over the next 20 years to boost the population from 562,651 residents to 866,634 – that’s over 15,000 new residents each year. The Gold Coast was also the largest contributor to the SEQ population for the past 15 years. The Gold Coast has a diverse and fast-growing economy, with a $26.98 billion GDP and one of the strongest employment markets in Australia set to increase over 70 per cent by 2041. 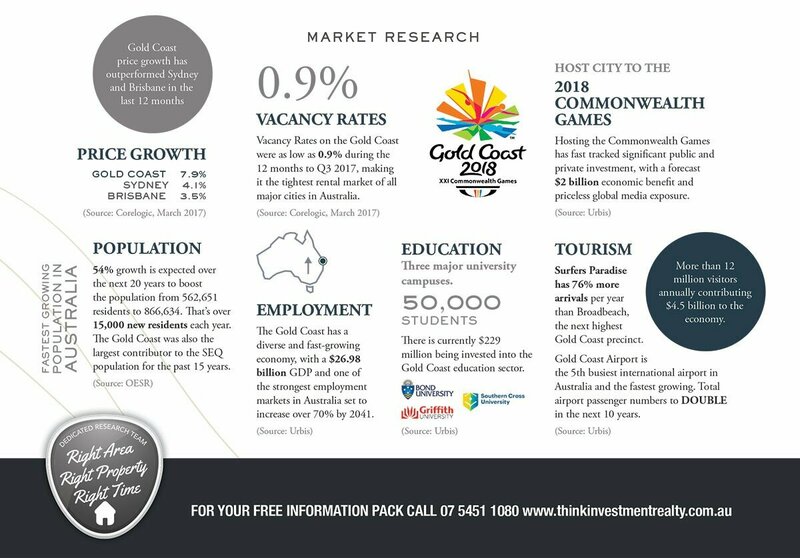 More than 12 million visitors converge on the Gold Coast annually contributing $4.5 billion to the economy. The Gold Coast Airport is the fifth busiest international airport in Australia and the fastest growing with total airport passenger numbers set to double in the next 10 years. Hosting the Commonwealth Games has fast tracked significant public and private investment, with a forecast $2 billion economic benefit and priceless global media exposure. As mentioned, the Games have already contributed to an accelerated growth in infrastructure and business with an economic injection forecast of $2 billion dollars.